The Saint Bernard doesn’t want to wear a brandy keg around his neck, but you might be able to train him to bring you a beer. With a heart that’s as kind as his body is big, this lovable giant makes a great family friend and protector. He is sweet, sometimes shy, and often stubborn. It’s true that the Saint Bernard was a savior to stranded travelers in the Swiss Alps, but he never wore a brandy keg around his neck. No, the Saint Bernard never wore a miniature brandy keg around his neck. The image was merely the product of artistic license taken by Edwin Landseer, who painted a portrait of the breed while visiting Switzerland in 1819. The public loved it, and the brandy keg remains a symbol of the breed to this day. It’s true, though, that monks at the hospice of Saint Bernard, high in the Swiss Alps, used the dogs to seek out and rescue lost travelers. 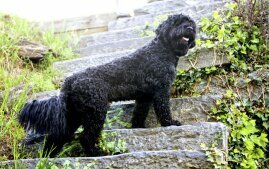 These days, the Saint is primarily a family companion or show dog, beloved for his calm and patient temperament. The Saint Bernard has many good qualities, but (even if breeding is the best it can be) he may also have health and temperament issues. If you want the calm, protective dog of legend, be prepared to do a lot of homework to find him and put in plenty of effort training and socializing him once you bring him home. 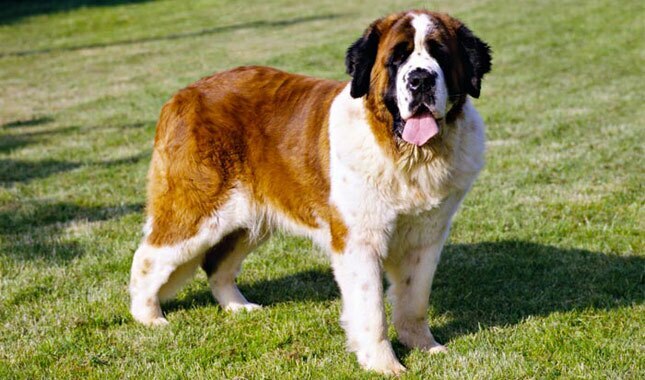 The Saint Bernard is a member of the Mastiff family, as evidenced by his huge head and tall, powerful body. He is gentle, but his size alone is enough to deter many would-be intruders or assailants. He is only moderately active, making him suited to homes with small yards. He drools and is sensitive to heat, so he must live in air-conditioned comfort in hot climates. 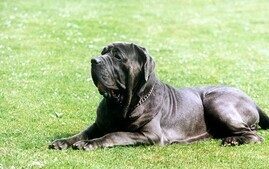 This is a giant breed. A 25-pound Saint Bernard puppy certainly looks manageable, but he will eventually weigh 120 to 180 or more pounds. His huge size is often what attracts people to him, but the tradeoff is a heartbreakingly short life span of approximately 7 to 10 years. And if you reach your home by stairs and should ever need to haul him up and down, you might be in trouble. If none of that fazes you, a Saint Bernard may well be your dog. Contrary to his size, the Saint Bernard’s food and exercise needs are modest. He doesn’t eat more than any other large breed dog, and he will be satisfied with a couple of short walks daily. Like any dog, Saint puppies are inveterate chewers and because of their size can do more damage than puppies of other breeds. They are prone to ingesting items such as socks and dish towels, resulting in veterinary visits or even surgery for intestinal blockages. Though you might think of him as an outdoor dog, the Saint Bernard loves his people and will pine without human companionship. They are also prone to heatstroke and should never be left outdoors for a long time in hot weather. Saints should have access to a securely fenced yard, but when the family is home, the dog should be with them indoors. The Saint Bernard drools. Don’t believe a breeder who claims to produce “dry-mouth” Saints. Saint Bernards excel at dog sports such as drafting (pulling a cart), weight-pulling, and obedience trials. 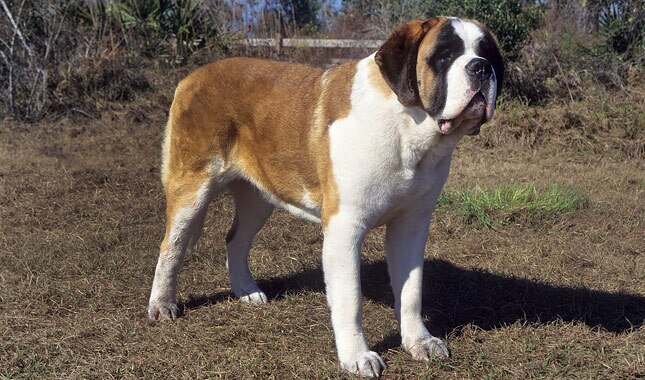 The Saint Bernard’s coat can be long or short and ranges from deep brown to red brownish-yellow with white markings. The Saint Bernard never wore a brandy keg around his neck, but in all other respects he was a saint to stranded travelers in the Swiss Alps. You might have heard that the Saint was created by monks at the Saint Bernard hospice, but he began as a farm dog. The Saint didn’t really begin to resemble the dog we know today until the 19th century, but dogs like him have lived in Swiss valleys for more than a thousand years. 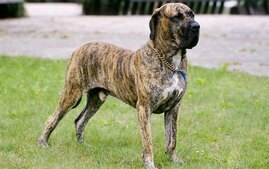 Saints are members of the Molosser family, the dogs that became modern-day Mastiffs, Saint Bernards, and other giant breeds. These particular dogs were found on Swiss farms, used to pull carts, guard property and livestock, and alert the farmer to danger. Farmers in the valley below the Saint Bernard hospice are thought to have given the monks some of their dogs in 1670 to help them ward off bandits. When the monks realized that the dogs had a keen sense of smell and could help them sniff out lost travelers, they began breeding them. Little more than a century later, the dogs’ rescue prowess was legendary. Because the hospice was isolated, the monks’ supply of dogs to breed to was limited, so their dogs had a distinctive look. In 1830, however, the monks attempted to add size and a more waterproof coat by crossing the dogs with Newfoundlands. They got more size, but the longer hair was a disaster. It matted and froze in the snow, making the longhaired dogs useless for rescue work. 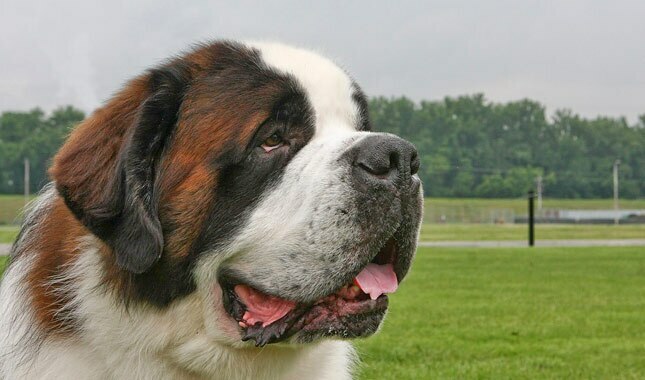 Although they had been associated with the hospice for more than 200 years, it wasn’t until 1880 that the breed was officially given the name Saint Bernard. 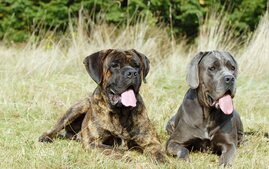 Before that time, they had been known variously as Sacred Dogs, Alpine Mastiffs, Alpendogs, and Barryhunden (after one of the best known of the hospice rescue dogs). The first Saint Bernard Club of America was formed in 1887. The breed’s popularity gradually increased, and in the 1960s and 1970s the Saint was one of the more popular dogs in the United States, reaching fourth place in American Kennel Club registrations in 1971. Unfortunately, overbreeding led to a lot of problems with the Saint’s structure and temperament, and it took decades for the damage to be repaired. Today the Saint is much improved in both areas and his popularity has settled to a respectable 45th place in AKC registrations. The ideal Saint lives up to his name: he is calm, patient, and gentle. He doesn’t need to be aggressive toward strangers; his size alone is enough to scare most people away. The Saint can be a great choice for families with kids. He’s certainly big enough that a little roughhousing isn’t going to hurt him. On the flip side, he’s big enough to accidentally knock over a toddler, so it might be best to wait to get one until the kids are in school. Saints are only moderately active and don’t need big yards or lots of exercise, although like any dog they enjoy a good walk every day. Dog sports in which they can excel include pulling a cart, known as drafting; weight pulling, the canine version of a monster-truck event; and obedience trials. Some are involved in tracking. Naturally, they make excellent therapy dogs, being the perfect height to stand at a bedside and be petted. The perfect Saint doesn’t come ready-made from the breeder. Any dog, no matter how saintly, can develop obnoxious levels of barking, digging, counter-surfing, and other undesirable behaviors if he is bored, untrained, or unsupervised. And any dog can be a trial to live with during adolescence. In the case of the Saint Bernard, the “teen” years can start at 9 months and continue until the dog is about 18 months old. Fortunately, Saint Bernards are sensitive, smart, and want to please. Begin training as soon as you bring your Saint puppy home, while he is still at a manageable size. Saints are sweeties, but they can also be stubborn. Teach your puppy to look to you for guidance, and be patient. Saints like to think things through before they act. Use positive reinforcement training techniques such as praise, play, and food rewards. Even if force did work with Saints, which it doesn’t, your pup would soon be too large for you to push around. If possible, get him into puppy kindergarten by the time he is 10 to 12 weeks old, so you can start building a strong relationship. However, be aware that many puppy training classes require certain vaccines (like kennel cough) to be up to date, and many veterinarians recommend limited exposure to other dogs and public places until puppy vaccines (including rabies, distemper and parvovirus) have been completed. In lieu of formal training, you can begin training your puppy at home and socializing him among family and friends until puppy vaccines are completed. Once your vet gives the go-ahead, socialize, socialize, socialize. 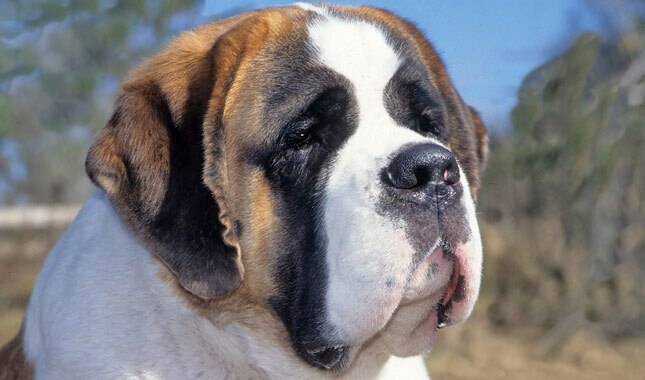 Saint Bernards are cautious as a rule and that caution can tip over into shyness. Early, frequent socialization is essential to prevent them from becoming overly suspicious or fearful of anything new or different. Purchase a Saint puppy only from a breeder who raises the pups in her home and ensures that they are exposed to many different household sights and sounds, as well as people, before they go off to their new homes. Continue socializing your Saint by taking him to visit friends and neighbors, and on outings to dog-friendly shops and businesses. The ideal Saint Bernard doesn’t spring fully formed from the whelping box. He’s a product of his background and breeding. Whatever you want from a Saint, look for one whose parents have nice personalities and who has been well socialized from early puppyhood. 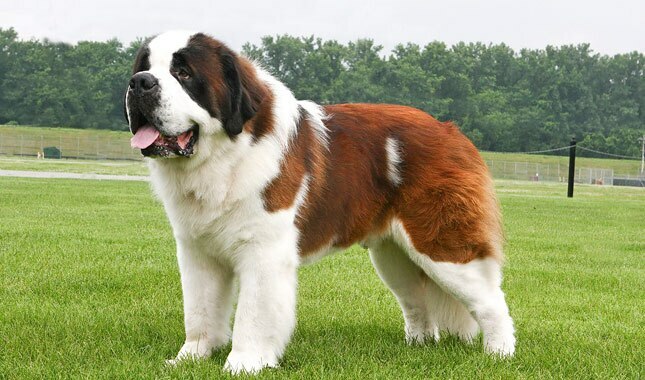 The Saint Bernard can develop certain health problems including hip and elbow dysplasia, cardiomyopathy, cancers such as osteosarcoma (bone cancer), eye problems such as entropion and ectropion, osteochondrosis (an orthopedic problem), hypothyroidism, and gastric torsion (bloat). Here’s a brief rundown on a few of the problems you should know about. As you might guess, given their large size, Saint Bernards can suffer from joint and structural problems. It’s important that young, growing Saints be kept lean and not allowed to exercise too strenuously or eat too much. Both can lead to injuries and problems that can be crippling down the road. In fact, all Saints need to be kept lean, as obesity increases the chances they’ll develop structural problems and makes the problems more painful when they occur. Hip dysplasia is a genetic deformity in which the head of the thigh bone doesn’t fit properly into the hip socket. Over time, joint and bone damage occur, leading to arthritis and other complications. Severe cases usually require surgery. Untreated, the dog will suffer pain and lameness. Elbow dysplasia is a similar condition affecting the elbow. 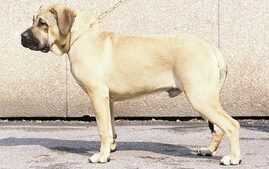 It’s impossible to know if a dog has hip or elbow dysplasia simply from examining him or watching him move. Nor can hip and elbow dysplasia be ruled out entirely just because the parents were free of the condition, although it reduces the risk. Osteochondrosis is another inherited orthopedic condition that can affect Saints and many other breeds. It’s a defect in the formation of growing cartilage that causes it to fragment. 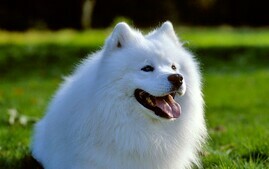 It usually appears in dogs younger than 1 year. Ask the breeder to show you the results of genetic health testing. All breeders should be able to show written documentationfrom the Orthopedic Foundation for Animals (OFA) and the Canine Eye Registration Foundation (CERF) clearing your puppy’s parents of hip and elbow dysplasia, heart disease, and eye problems. PennHip certification of hips is also accepted. Ideally they will also have OFA certification of thyroid health. If the breeder tells you she doesn’t need to do those tests because she’s never had problems in her lines, her dogs have been vet checked, or any of the other excuses bad breeders have for skimping on the genetic testing of their dogs, walk away immediately. Not every Saint Bernard visit to the vet is for a genetic problem. Saints are more likely than many breeds to bloat, a condition in which the stomach distends with gas and can twist on itself (called gastric torsion), cutting off blood flow. Bloat and torsion strikes very suddenly, and a dog who was fine one minute can be dead a few hours later. Watch for symptoms like restlessness and pacing, drooling, pale gums, lip licking, trying unsuccessfully to vomit, and signs of pain. Bloat requires immediate veterinary intervention, and surgery is necessary in many cases. Unfortunately, dogs that have bloated can bloat again, so most veterinarians offer a procedure known as gastropexy or "stomach tacking," which anchors the stomach to the body wall to help keep it from twisting in the future. This procedure can also be done as a preventive measure. Saints are also prone to heatstroke. Never leave one outdoors for long periods in hot weather. Remember that after you’ve taken a new puppy into your home, you have the power to protect him from one of the more common health problems: obesity. Keeping a Saint at an appropriate weight is one of the easiest ways to extend his life. Make the most of diet and exercise to help ensure a healthier dog for life. Saint Bernards come in two coat types: shorthaired and longhaired. 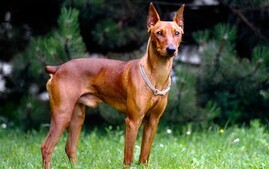 The shorthaired Saint has a dense, smooth coat. His longhaired brother has a medium-length coat that is slightly wavy. Either coat type can be white with red or red with white. Both varieties shed heavily in spring and fall and need weekly brushing year-round to keep loose hair under control. 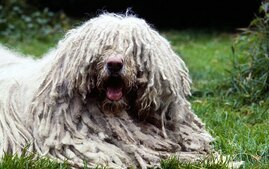 It’s probably a good idea to brush a longhaired Saint a couple of times a week. Clean the ears and trim the nails as needed, and bathe the Saint when he’s dirty. You’ll want to wipe his mouth after your Saint eats or drinks — before he shakes his head and slings water, drool, or food debris everywhere. Brush his teeth with a vet-approved pet toothpaste for good overall health and fresh breath. Start your search for a good breeder on the website of the Saint Bernard Club of America, and choose one who follows the club’s guidelines, which prohibit the sale of puppies to or through pet stores and call for the breeder to take back any dog during its life if the owner is unable to keep him. 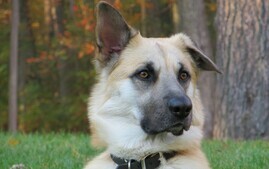 Choose a breeder who wants to be a resource for you throughout your dog’s life. Pay close attention to your potential puppy’s temperament. Though most Saints do have good temperaments, because of their size, a breeder who has American Temperament Test Society (TT) certification on her dogs should be preferred over one who does not. Avoid breeders who seem interested only in how quickly they can unload a puppy on you and whether your credit card will go through. You should also bear in mind that buying a puppy from a website that offers to ship your dog to you immediately can be a risky venture, as it leaves you no recourse if what you get isn’t exactly what you expected. Put at least as much effort into researching your puppy as you would into choosing a new car or expensive appliance. It will save you money in the long run. Lots of reputable breeders have websites, so how can you tell who’s good and who’s not? Red flags include puppies always being available, multiple litters on the premises, having your choice of any puppy, and the ability to pay online with a credit card. Quickie online purchases are convenient, but they are almost never associated with reputable breeders. The cost of a Saint Bernard puppy varies depending on the breeder’s locale, whether the pup is male or female, what titles his parents have, and whether he is best suited for the show ring or a pet home. The puppy you buy should have been raised in a clean home environment, from parents with health clearances and conformation (show) and, ideally, working titles to prove that they are good specimens of the breed. Puppies should be temperament tested, vetted, dewormed, and socialized to give them a healthy, confident start in life. And before you decide to buy a puppy, consider whether an adult Saint Bernard might better suit your needs and lifestyle. Puppies are loads of fun, but they require a lot of time and effort before they grow up to become the dog of your dreams. An adult Saint Bernard may already have some training and will probably be less active, destructive, and demanding than a puppy. 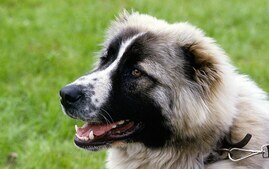 Sites like Petfinder.com and Adopt-a-Pet.com can have you searching for a Saint Bernard in your area in no time flat. The site allows you to be very specific in your requests (housetraining status, for example) or very general (all the Saint Bernard available on Petfinder across the country). AnimalShelter.org can help you find animal rescue groups in your area. Also some local newspapers have “pets looking for homes” sections you can review. Start talking with all the pet pros in your area about your desire for a Saint Bernard. That includes vets, dog walkers, and groomers. When someone has to make the tough decision to give up a dog, that person will often ask her own trusted network for recommendations. Most people who love Saint Bernards love all Saint Bernards. That’s why breed clubs have rescue organizations devoted to taking care of homeless dogs. Saint Bernard Club of America can help you find a dog that may be the perfect companion for your family. You can also search online for other Saint Bernard rescues in your area. The great thing about breed rescue groups is that they tend to be very upfront about any health conditions the dogs may have and are a valuable resource for advice. They also often offer fostering opportunities so, with training, you could bring a Saint Bernard home for a trial to see what the experience is like. Wherever you acquire your Saint Bernard, make sure you have a good contract with the seller, shelter, or rescue group that spells out responsibilities on both sides. Petfinder offers an Adopters Bill of Rights that helps you understand what you can consider normal and appropriate when you get a dog from a shelter. In states with “puppy lemon laws,” be sure you and the person you get the dog from both understand your rights and recourses. 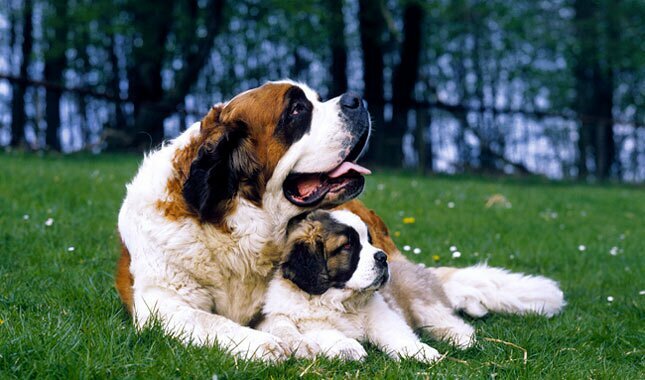 Puppy or adult, a breeder purchase or a rescue, take your Saint Bernard to your veterinarian soon after adoption. Your veterinarian will be able to spot problems and will work with you to set up a preventive regimen that will help you avoid many health issues.